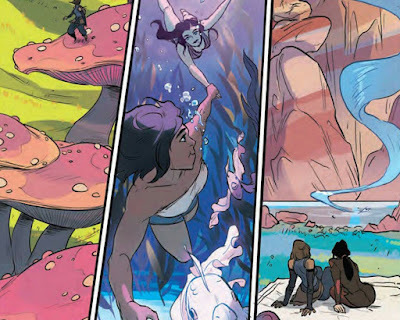 After Book Four of The Legend of Korra ended, many of us were feeling hollow and sad that it was over and we wouldn't be able to see what happens after Korrasami entered the spirit world together. 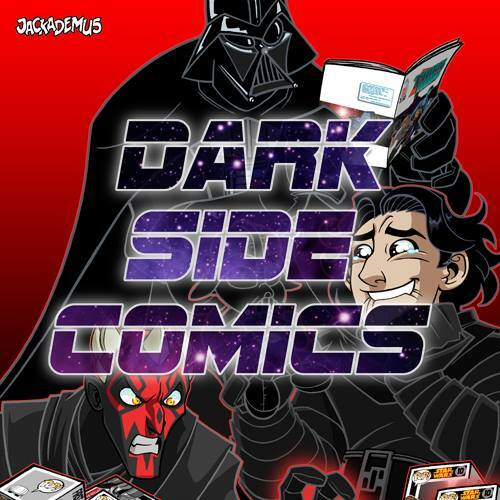 But, never fear, for the amazing creative team at Dark Horse comics decided to continue the series in comic form, with creator Michael Dante Dimartino as writer! 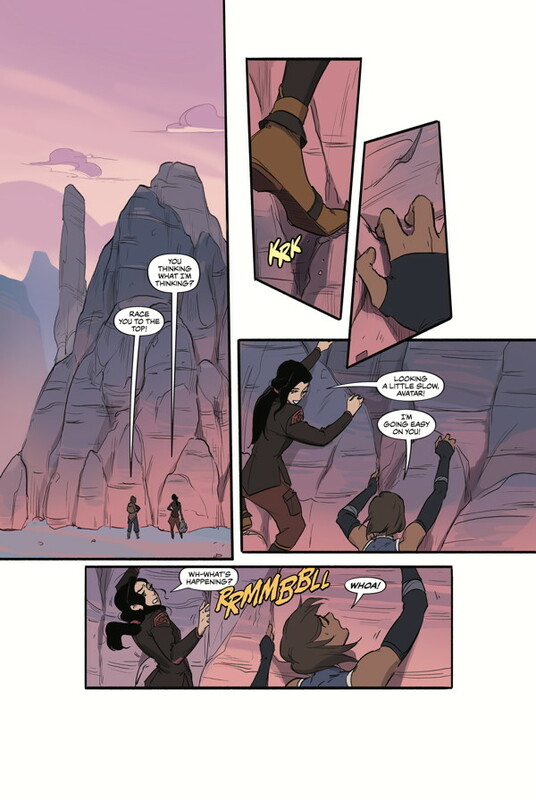 And behold, Turf Wars Part One is here, and it continues straight after that lasting image of Korrasami as they walked hand in hand into the sparkly spirit world. Artist Irene Koh takes the lead on the artwork and delivers stunning blockades of mesmerising colours and her own style of the characters and avatar world. Writer Michael Dante DiMartino brings the character to life beautifully. With less room for dialogue, he takes it as an opportunity to explore the thoughts and feelings of Korra and Asami with grace and poignancy. Their conversations about how their feelings grew and changed over the three years they were apart were moving and powerful. They've both developed so much over the last two books, and here it shows. Irene Koh's details of Korra and Asami blend perfectly with the purple sunset colours; adding to the warmth that the dialogue feeds to the audience. The characterisation is perfect, DiMartino proves he knows these characters and their relationship, as well as he does Aang. The honesty that Korra and Asami share with each other is refreshing in that their open-mindedness towards their relationship strengthens the connection they share. It's entirely gripping because their relationship has developed so organically that it brings out different aspects to their personalities. As they head back to the spirit world, the new spirit portal is creating social and polticial backlash in the form of an old business associate of Asami's father. His interference is met with spiky eyebrow stares from Asami as her history with him adds some interesting mystery to her teenage years. Mako and Bolin grace the page with their usual hilarity and sweetness. Bolin is happy to be working with his brother and the police force. But, Mako is not too keen which presents an interesting question of why. It adds depth to his character because it's clear that Mako's career has become incredibly important and meaningful to him. This is a positive step towards developing his character and understanding how he is exploring who he is through his work. He and Bolin find themselves in a street battle between the triple threats and the creeping crystals which enables the ripples of the battle with Kuvira to take centre stage. The criminals of the city are vying for their own place to call their own. This ties in well with the citizens of the city who are staying in a temporary evacuation camp. Korra gives one of her most inspiring and empowering speeches; displaying her maturity and strength. There's aparticular moment before Korra gives her speech that is fascinating from Asami's point of view. Korra asks her if she will come with her to she give her speech, but Asami deflects and says she should stay back and do something practical to help. This creates a little tension between the two as Korra was hoping for support from Asami and wonders what she means by 'practical'. Asami is clearly more comfortable helping the cause by designing and drawing up plans for new housing developments. It's as if she doesn't believe she could be of any emotional support for the people of the city, even though, she was the one who was the inspiration and hope for Korra throughout her recovery. Asami should have more faith and belief in herself that she is an inspiring person who can offer citizens a lot more than just the practicalities of engineering a new city. Overall, the beginning of the new trilogy is a strong, beautiful and funny chapter in exploring Korra and Asami's relationship and balancing the conflict of the new opposition for Korra and team avatar.